A couple years back, we brought you the term “faux page,” the art (you might say) of setting up a false page in order to exit a meeting early. Mind you, we weren't suggesting anyone try what we're sure is a completely mythical idea. But if such a thing ever crossed your mind during a meeting, perhaps it's worth looking at some meeting survival advice Mayo Clinic's own Amit Sood, M.D., offered in a recent article in U.S. News and World Report. Break things up. Short breaks can offer some "much needed rejuvenation," according to Dr. Sood. But he advises, don't use them to catch up on email. Instead, stand up, chat with your neighbor, or perhaps try one of these Mayo-approved office stretches. Get back to basics. Leave that smartphone where it belongs and engage in the meeting, even if it is something as simple as taking notes. Play musical chairs with each new agenda item. Play the song “This Girl is On Fire” each time a team member has a new idea. Start the meeting with a brief period of watching paint dry to provide proper perspective. Adopt exaggerated accents for each Mayo Clinic location you're discussing. Use the Pictionary approach to illustrate new ideas. Settle disputes by way of laser tag. Assign a walk-up song for each presenter (like they do in baseball). Click your heels and transport yourself to a sunny locale. 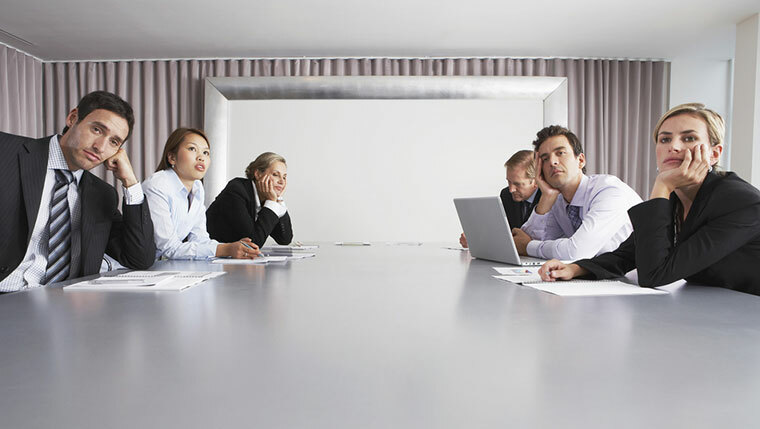 Share your own meeting survival tips with a comment below.